Lo shampoo riparatore S 16.14, particolarmente indicato per capelli sfibrati, trattati e senza volume, penetra in profondità fino al cuore del capello e grazie ai suoi principi attivi, agisce sul bulbo pilifero stimola la ricostruzione dei capelli indeboliti e rovinati, contrastandone la caduta. I capelli ritroveranno la loro elasticità, riacquistando volume e morbidezza preservandone a lungo colore e luminosità. 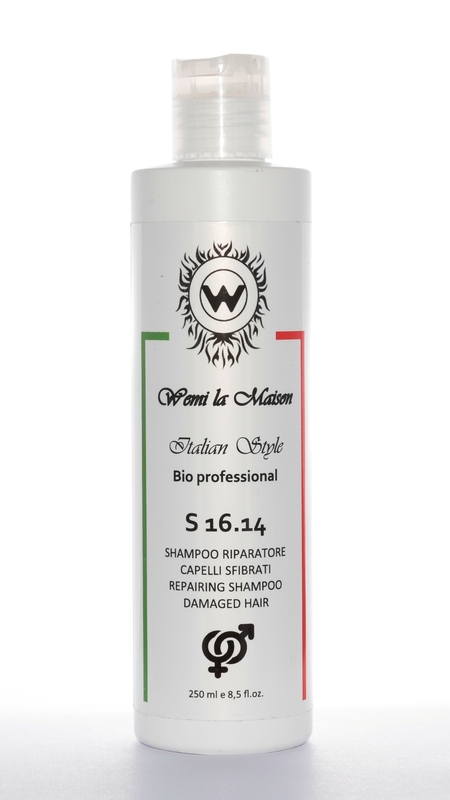 Particularly suited to hair that is damaged, treated and lacking volume, the repairing S 16.14 Shampoo penetrates deep into the core of the hair and - thanks to its active principles - acts on the follicle, stimulating the reconstruction of weakened and damaged hair whilst counteracting hair loss. Hair will regain elasticity, volume and softness while preserving its colour and shine for longer. Aqua, Magnesium lauryl sulfate, Cocamidopropyl betaine, Sodium chloride, Panthenol, Avena sativa bran extract (*), Achillea millefolium extract (*), Calendula officinalis flower extract (*), Coco-glucoside, Citric acid, Glycerin, Urea, Glucose, Sodium PCA, Sorbitol, Fructose, Glycine, Hydrolyzed wheat protein, Sodium glutamate, Glycolic acid, Lactic acid, Lysine, Malic acid, Potassium hydroxide, Sodium hydroxide, Tartaric acid, Phenethyl alcohol, Caprylyl glycol, Glyceryl oleate, Parfum.